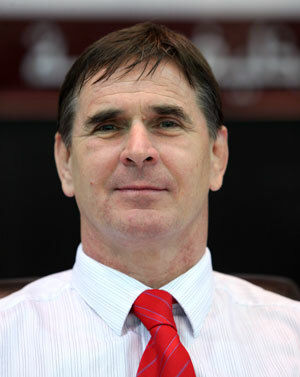 Since 2007, Vladimir has been the Head Sport Director of the International Judo Federation (he was the EJU sports director since 2000). But Before, he was an athlete and a national coach. Here is his vision of what respect is and should be. Jiri Sosna © David Finch (www.judophotos.com)In 1992, when I was the coach of the national team of Czechoslovakia (now Czech Republic), we had traveled to Paris for the European Championships. In "Coubertin", at that time the "temple of judo", the "cauldron" where the temperature could suddenly rise by several degrees, I was following my team and especially, Jiri SOSNA, the flagship of our delegation. 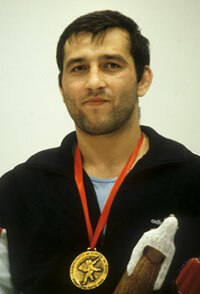 Bronze medallist in the world championship in 1991, behind Stéphane TRAINEAU (FRA) and Pawel NASTULA (POL), SOSNA was the bane of the French. I expected a lot from him during the European Championships, but mostly I expected more from him at the Olympic Games which were to be held in Barcelona in 1992. But suddenly everything fell apart when our champion seriously wounded his shoulder. After the initial reaction of anger, I said to myself that everything must be done to repatriate him home, so he could be operated and recover quickly. But where to go? What to do? Who to talk to? Naturally, I went to Jean-Luc ROUGE (today's President of the French Judo Federation and IJF General Secretary) who was managing the competition. We did know one another very little, just the "hello, how are you?" of use, nothing more but mutual respect. Totally absorbed in his work, he listened to me anyway, and when he realized that I was talking of the wound of my athlete, SOSNA, a serious competitor to its own champion, TRAINEAU, he stopped on the field all his activities to "find a solution." The next day SOSNA was operated, at home, recovering in the best possible conditions. This example will remain etched in my memory as a coach all my life. It perfectly illustrates what respect is: respect for the opponent, who can be in distress. If it is the case, there is no more opponent, but simply a human being that must be helped. When a judoka is stepping on the tatami, he/she is looking for the victory, but not at all costs. Above everything is the respect of his/her opponent for what he/she is, champion or not. I started judo late, when I was 15 years old. I was living in a very poor mining region of Czechoslovakia. Danger was present in the streets. One day, I discovered a poster promoting judo as a defence sport. I begun to play judo, to enjoy it and I never had to use any kind of violence since that time.